A growing Unite membership in Peabody has decisively rejected a pay offer of 1.5% - with NO votes cast in favour of acceptance. In just over 10 days, a staff-wide petition attracted over 200 signatures! We are expecting more returns over the next few days in advance of the Board remuneration meeting on Wednesday 25th May. Unite had requested further talks prior to that meeting but to no avail. Peabody surplus stands at £63.7m. A surplus our members helped to create with their hard work despite increased workloads. Over 60% of those recently surveyed were regularly working over their contracted hours for no extra pay. Unite requested 2.5% as RPI is projected to rise to 2.4% by March 2017, therefore 1.5% would be a cut. RPI includes Housing costs such as Morgauge, Rent and Council Tax. Can workers afford less than 2%? Over 70% reported they were in debt, 23% in housing debt, 39% spending more than 40% of income on housing costs. A social housing organisation could be putting its own staff at risk of homelessness by its continuing to implement the current pay policy. A policy that sees Executive Directors awarded up to 15% as a bonus alone and directors 10%! No wonder 80% of workers did not think the current pay offer was fair. At the end of April, Peabody upped the original offer by 0.5% after Unite took part in talks and began its campaign. Unite reported there on the survey of workers debt and overworking. What happens if they don’t make a more reasonable offer? Unite reps and members will discuss how to escalate the campaign. This could involve protests, sector wide publicity and, if necessary, a ballot for industrial action. £3 Billion surplus in the sector. Up by 25%! 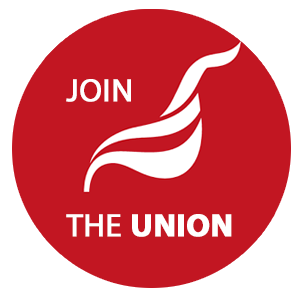 Peabody is one of many housing organisations in the Unite Housing Workers LE1111 branch, which has been developing a more robust approach to pay campaigns after witnessing a shocking decrease in workers living conditions and excess workloads whilst there is 25% increase of surpluses in the sector: £3 Billion in 2016. Just imagine a fair slice of that..
Unite in the Homes and Communities agency (HCA) took strike action on Thurs 19th May after rejecting a pay offer and its proposed imposition.Catalyst members are currently taking part in a ‘work to rule’ over the proposed cuts to the number of Neighbourhood managers and already heavy workload. St Mungos took part in industrial action over proposed cuts and won.